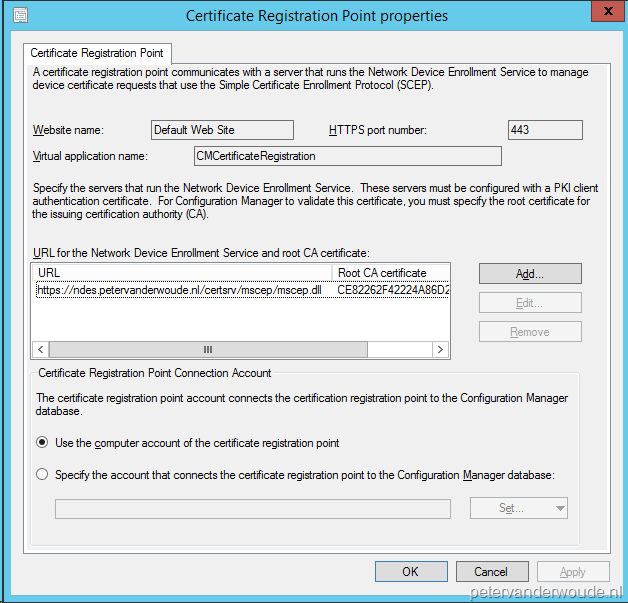 This blog post is about key configuration steps, which are often forgotten, for implementing the ability to deploy certificate profiles with ConfigMgr 2012. 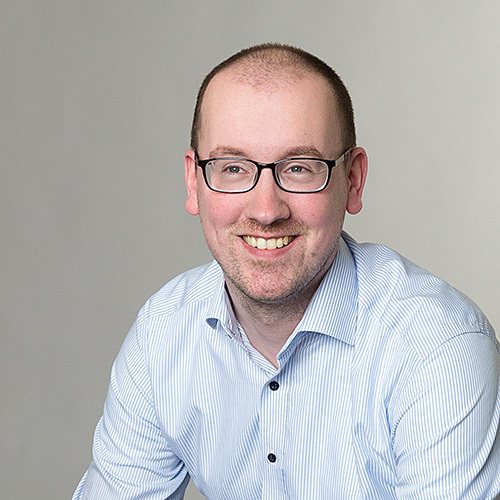 By key configuration steps, I’m talking about the key configurations of every component used for creating the ability to deploy certificate profiles. That means Internet Information Services (IIS), Network Device Enrollment Service (NDES), the Certificate Registration Point site system role, the Configuration Manager Policy Module and even Web Application Proxy (WAP). To understand these steps, knowledge of certificates, IIS and ConfigMgr is required, because it’s not a step-by-step configuration guide. Good step-by-step information can be found in the More information section of this blog. 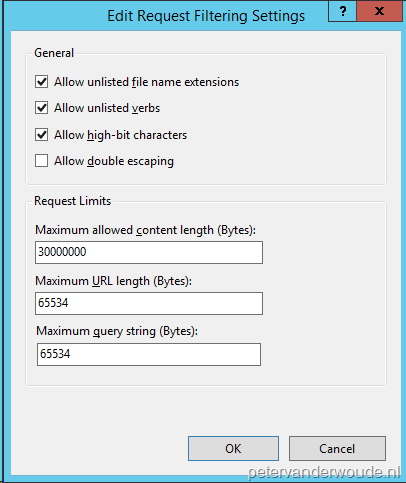 The request-filtering on the Default website must also adjusted to the following values. 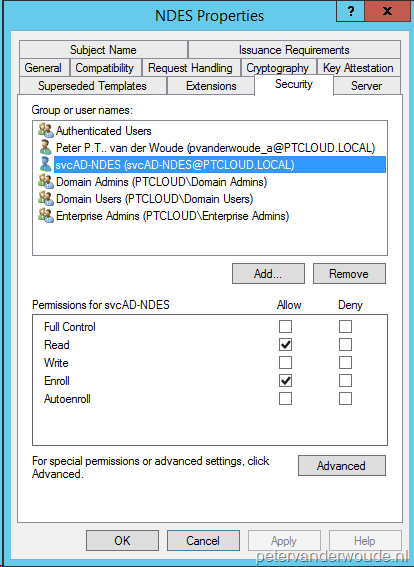 The account used by the NDES application pool must have Read and Enroll permissions on the configured certificate profile. Without these permissions it will not be possible to request certificates. The public FQDN should be used in the configuration of the Certificate Registration Point, as that is the address that the clients will use to perform their certificate request. 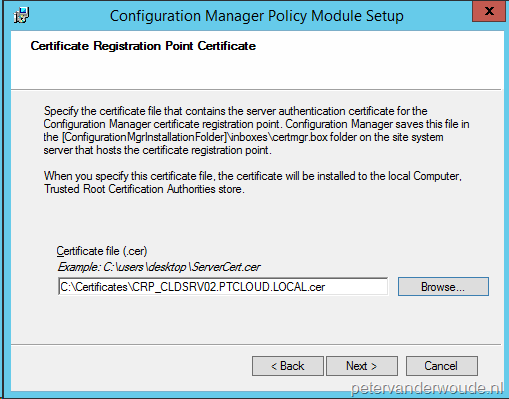 The component that provides the communication between NDES and the Certificate Registration Point is the Configuration Manager Policy Module. This installation should not be forgotten! The installer can be found on the installation media in the folder \SMSSETUP\POLICYMODULE\X64. During the installation it will request the root certificate as input. This certificate can be found on the primary site server in the certmgr.box inbox. 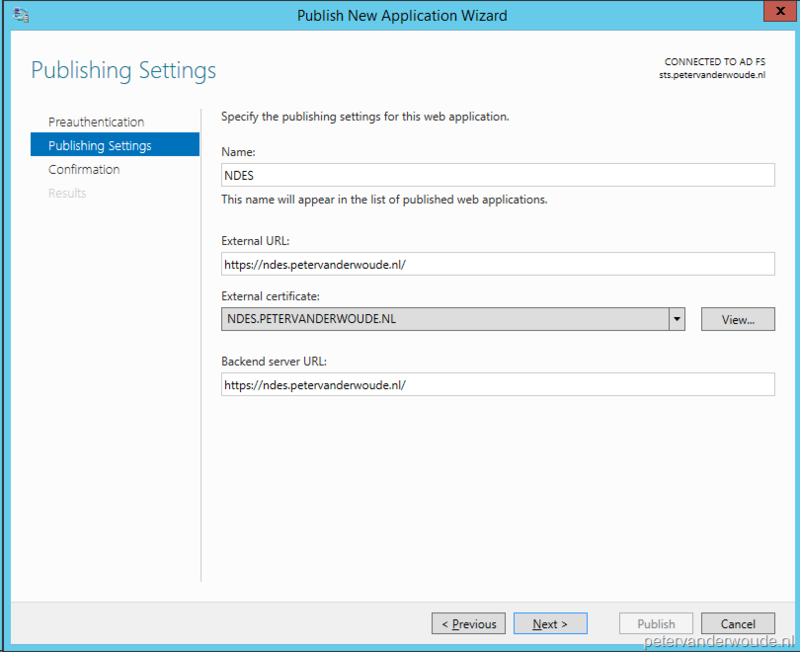 The component that is optional, but can be used to publish NDES to the Internet, is WAP. One key thing that should not be forgotten is that the December 2014 update rollup for Windows Server 2012 R2 should be installed (see: https://support.microsoft.com/kb/3013769/en-us).